This new toilet seat adds an extra 3" height, making it easier to get on and off. 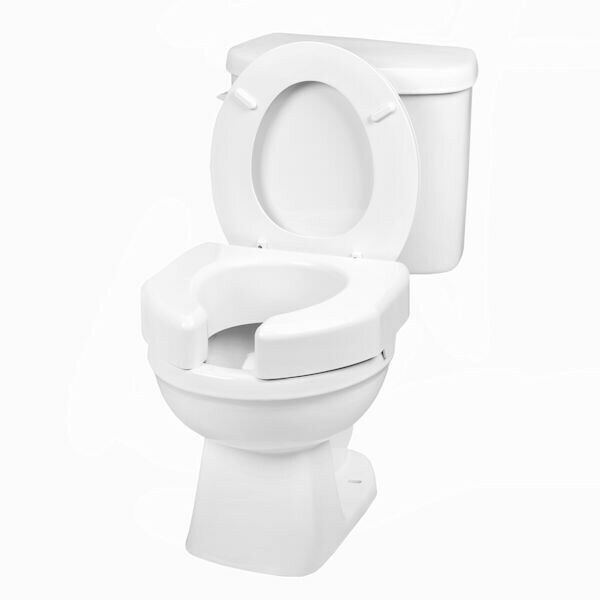 No-tool assembly makes this easy to add to any toilet — round or elongated. Front opening provides extra room to reach for hygienic purposes. Holds up to 350 lbs. Durable plastic won't chip, rust and is easy to clean.